Make your own tasseled necklace with this kit! Just add fun! 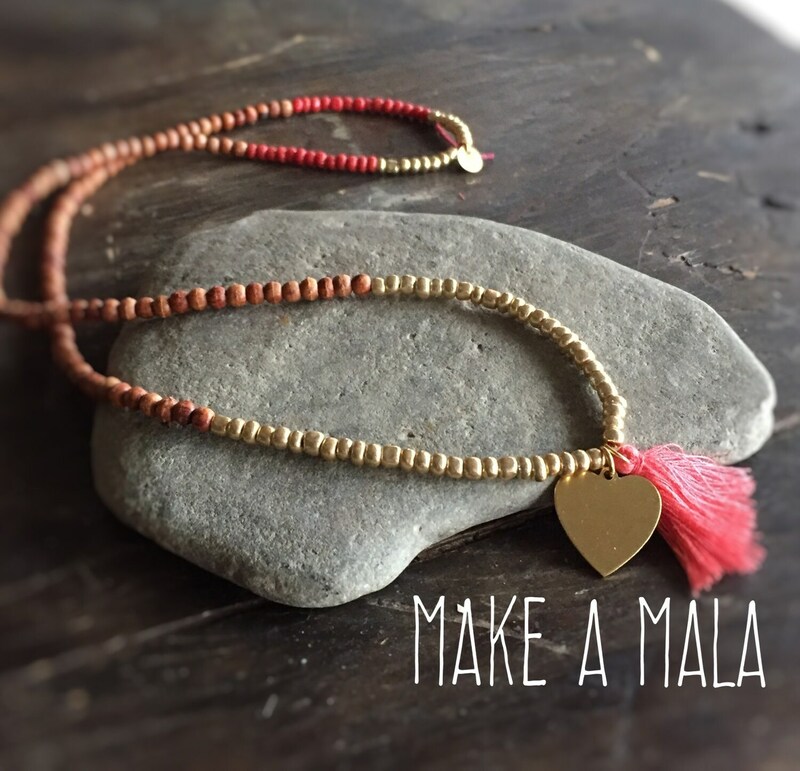 Designed for the trendy maker, this wonderfully chic necklace is as cool as it is fun to make. Rosewood beaded necklace features a cotton coral tassel and solid brass hear (ready for stamping your couple's monogram if you like :) Necklace measures 28" when finished. All in a fabric bag. Beautiful object and fast ship. Arrived really quickly, nice quality and easy to assemble. Purchases will be sent after receipt of payment. If I do not receive payment one week after completed transaction, I will send a reminder convo. If I do not receive payment two weeks after completed transaction, I will cancel the transaction. I accept Paypal, cash, check, and money order. Please contact me if you have any problems with your St. Katherine's purchase. I am an honest, reasonable seller and I strive to make my customers supremely happy. PDF files, understandably, cannot be returned. Please read all of the information provided before purchase. PDF files: I will send you your PDF file within 24 hours of receipt of payment. Shipped goods: I ship pieces within two business days of receipt of payment, unless otherwise noted. Occasionally, supplies are on back-order, or custom pieces require a longer turnover time, but I will clearly state all acceptions to my standard 48-hour turn-around time, and will keep my customers informed, as well. Please purchase Reserved or Custom Listing in a reasonable length of time. After two days with no communication, I reserve the right to remove the listing, if there is demand for the item from another customer.